Go to C folder. 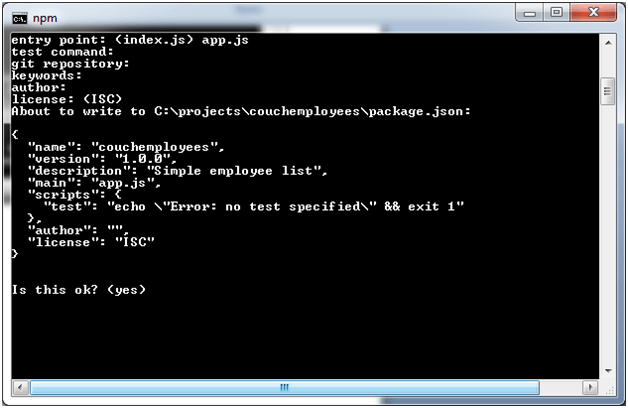 Create a folder name "couchemployees" within an already created folder "projects". 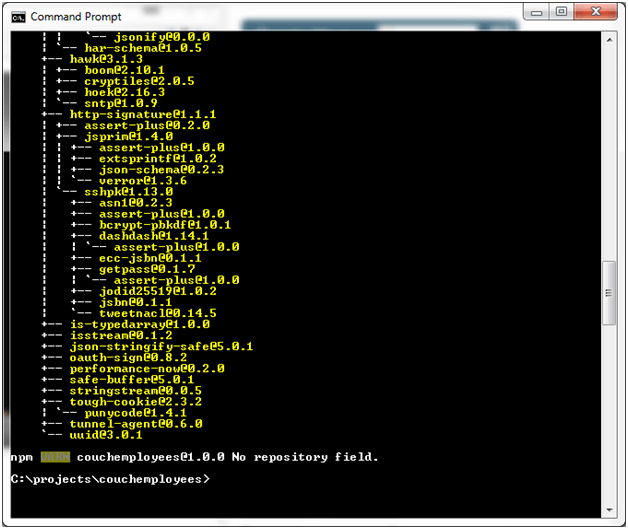 Open command prompt and go to the location.